Great food, travel, good natural health and music are some of my biggest life passions. 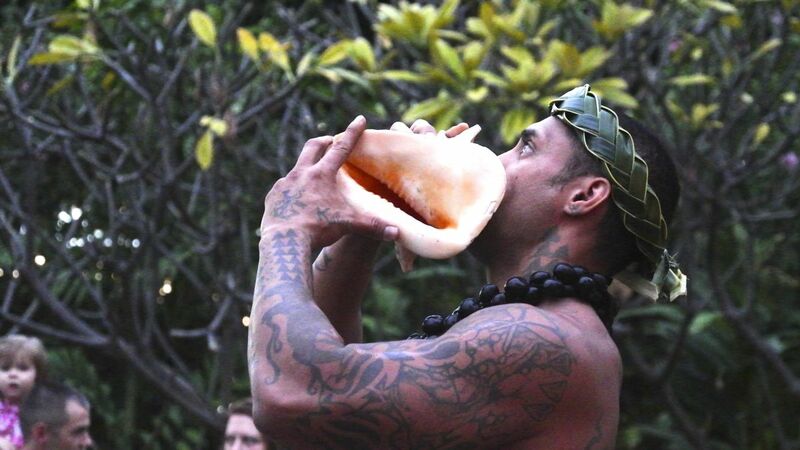 So a couple of years ago I was lucky enough to go on holiday for a week in Hawaii, to say the least it was amazing. Since then I have gone again 2 months ago for another week and it definitely still lived up to my expectations. Trust me a week each time was not long enough, not only were there so many amazing things to do (more on that in another hub) but the food...oh my gosh the food! I have to say some of my favorite places to eat are in Hawaii, which causes 2 issues....one I'm always craving food I can't have and secondly I am craving another holiday to Hawaii badly and asap even though I have so many other places i need to go, dilemma! Every day and night this place is packed to the brim, even with their 600 seats! There seems to be a line almost all hours of the day and this line can take a hour or even two to get through (depending on the time), but trust me this place is worth it (note: they give you a buzzer to let you know when your table is ready so at least you can soak up the fresh Hawaiian air (or shop) whilst you wait). This is great place for a groups or the discerning diner as there are over 200 items on the menu all made fresh daily - this includes breakfast, lunch, dinner and desert options which is the obvious winner - cheesecake! It is absolutely perfect for adults, perfect for kids and perfect for the fussy people who are very specific in what they would like to eat. 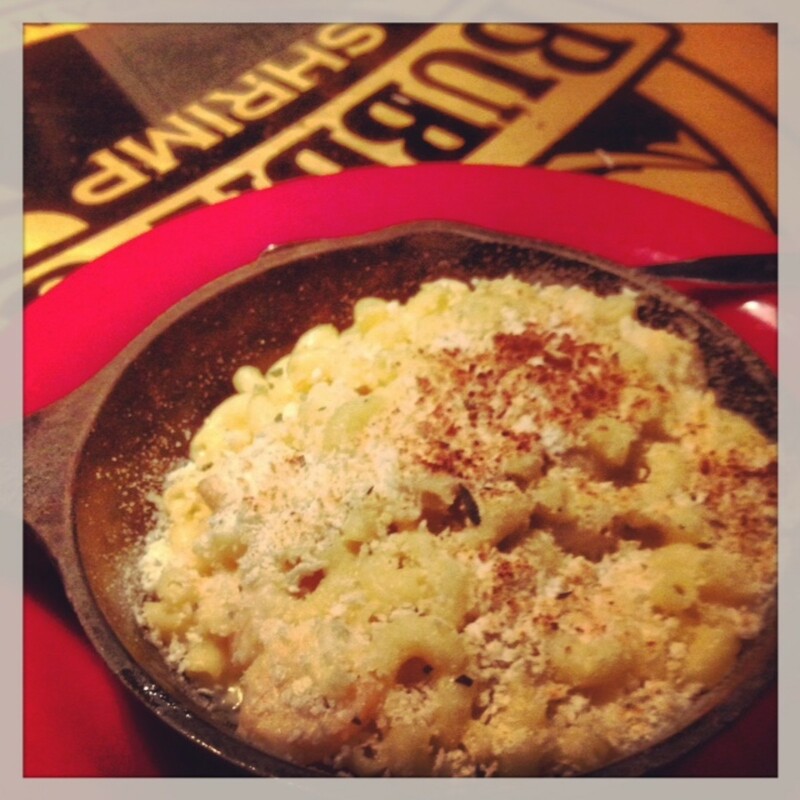 If the thing your craving is not on the menu (which is very unlikely), well I'm afraid you cannot be helped. The two trips I have now made to Oahu were definitely filled with a few visits to the Cheesecake Factory - I think it was a winner in my food books and I definitely could've eaten there daily if there were not other enticing food options to try. 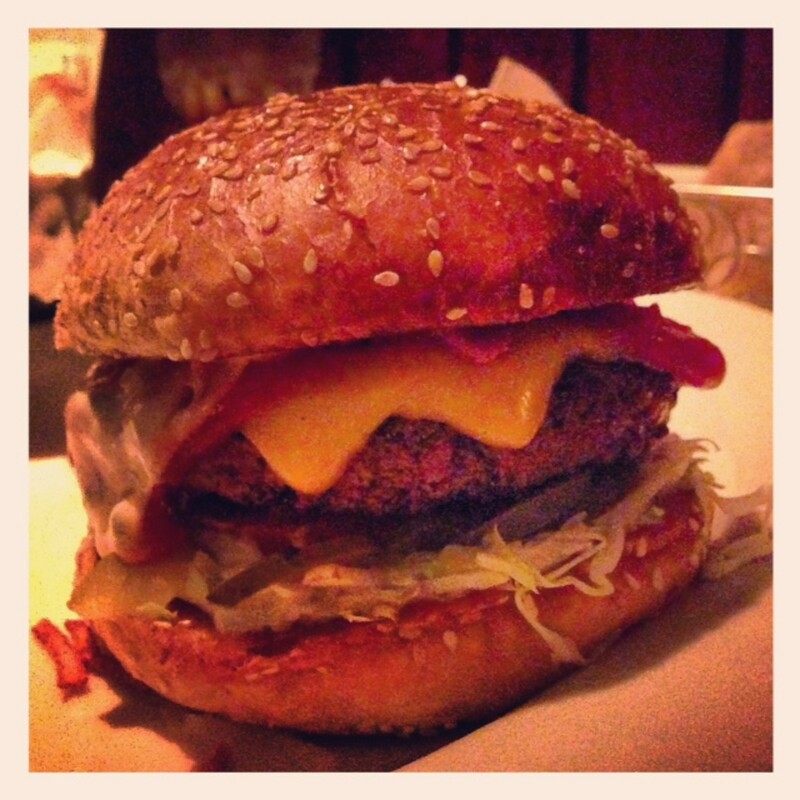 The first time I went I indulged on the American Cheeseburger. 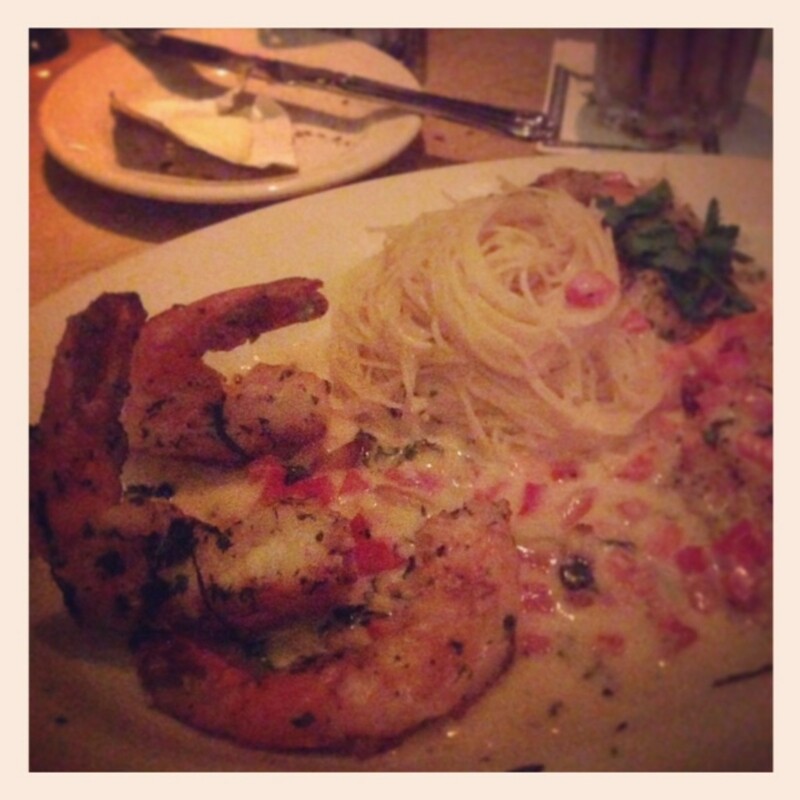 One words can be said about the cheeseburger - amazing, and then the next trip I tried the shrimp scampi, everything I could've dreamed. Honestly it was that good. 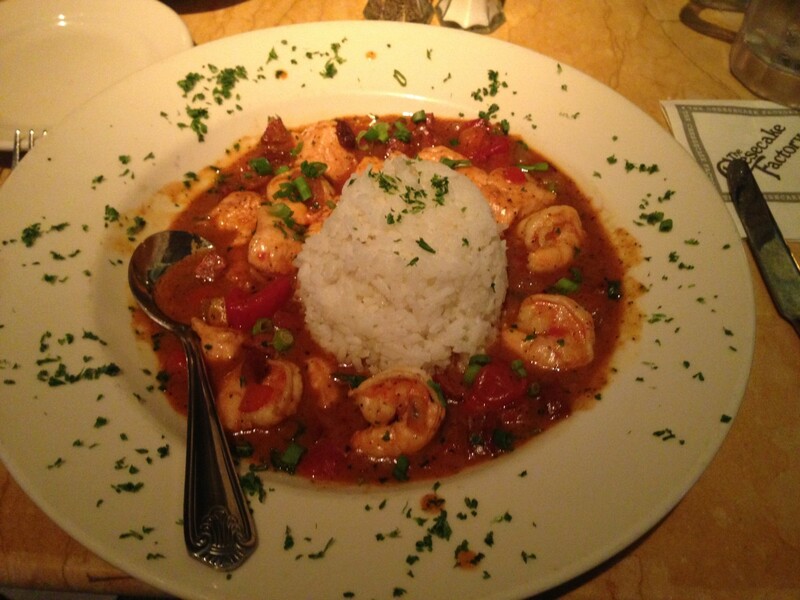 I also had the Shrimp and Chicken Gumbo - one of the best things I ate at the cheesecake factory so full of flavour- I honestly do not know how they are able to make so many dishes that always taste amazing, its incredible to say the least. I then ate the Eggplant Parmesan - delicious but the portion was way to big for me with all the pasta, but definitely delicious. 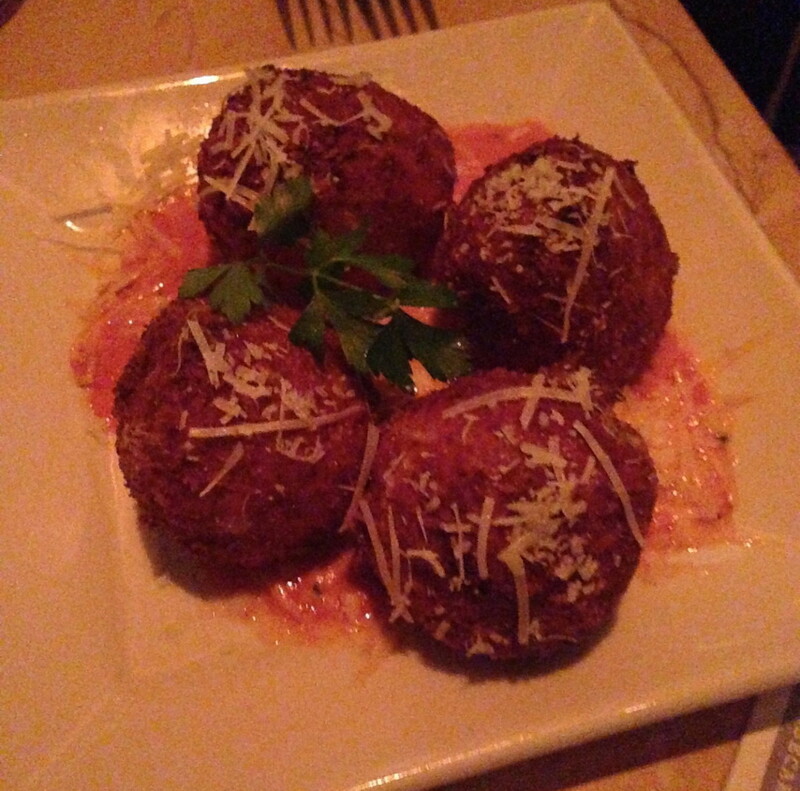 On our last visit of the holiday my friend and I decided we would split some entrées - Fried Macaroni and Cheese (these were little balls of heaven - "crispy crumb coated macaroni and cheese balls. 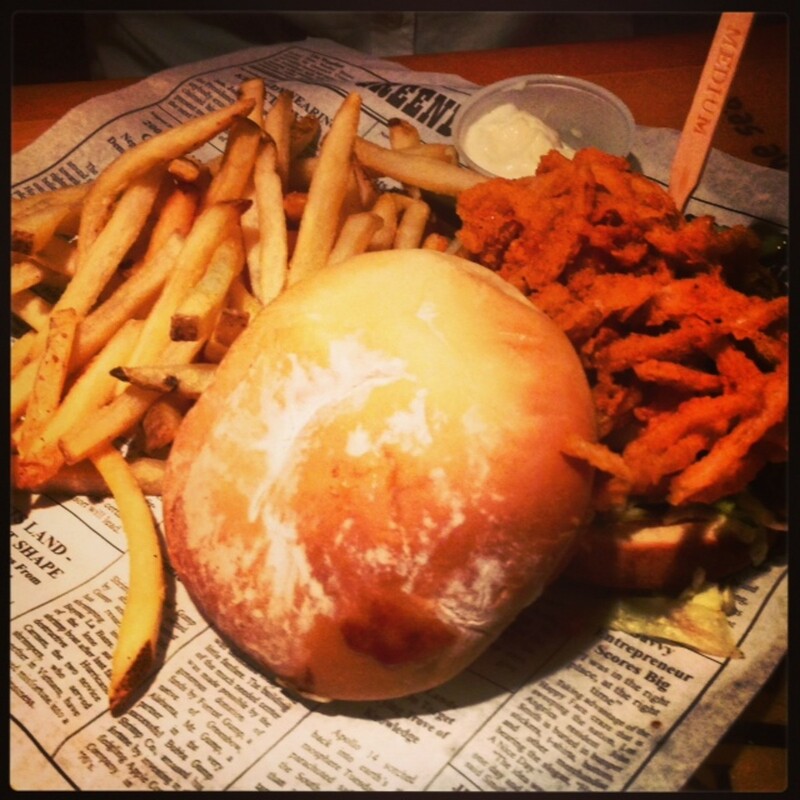 Served over a creamy Marinara Sauce", the description says it all (definitely a must try)l. Buffalo Blasts and Southern Fried Chicken Sliders and sweet potato fries. Our thinking in doing so was that we would definitely have room for cheesecake....wrong we were so full as the entrées were huge definitely nothing like our small entrée sizes in Australia thats for sure. 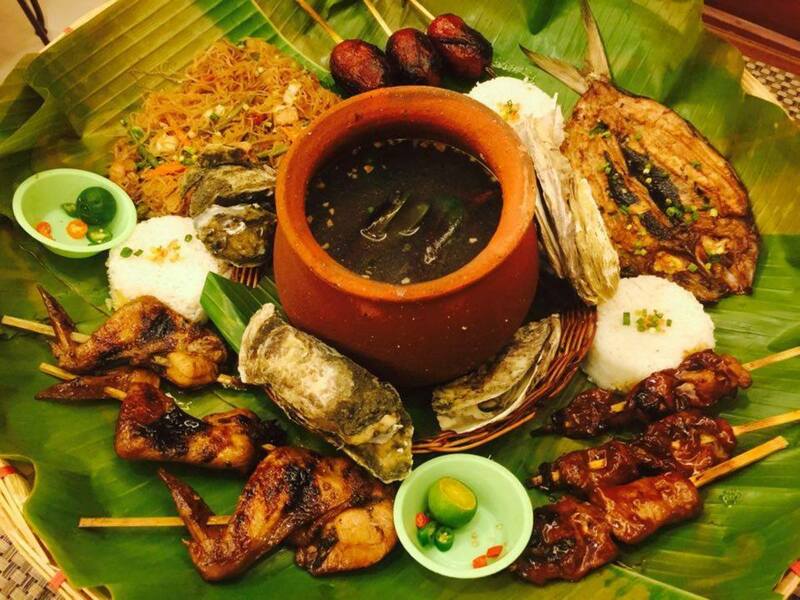 The portions are huge - definitely more than generous and most times sharing a plate would be plenty. Also the pricing of the food is very good (unfortunately the exchange rate is not so great for the Aussie Dollar currently), but if your looking at value for money you will get it here. If you eat here you will get more food than you need and the resulting food coma is definitely worth it. 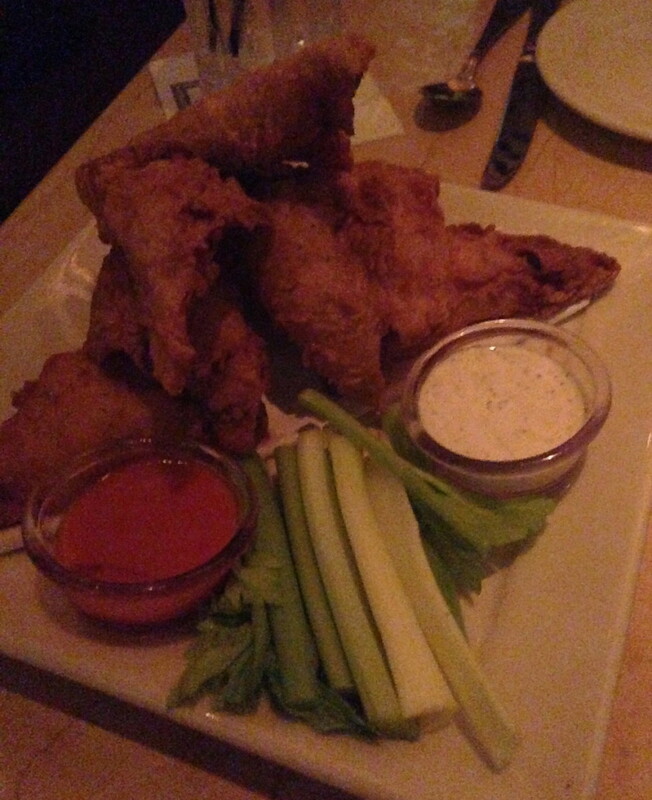 The atmosphere of the cheesecake factory is amazing, its has a great vibe, buzzing all the time and did I mention the choice of over 200 dishes? It really is heaven on earth and must try if your a food lover...really there is nothing that can go wrong in a place like this! IMPORTANT - one word of warning do not go on an empty stomach, prepare to get there an hour before the starvation hits to keep this experience enjoyable for all, because if there is no line well it will be a miracle! You could try going for an earlier dinner or going at lunch time which appears to be a bit quieter and quicker to get a seat. Also prepare yourself in the knowledge that their main meals are so delicious and filling you may not have room for cheesecake I prepared for this every time I went and still sadly I have not been able to taste the namesake (I know I really let myself down with this and feel the pain everyday!). This little treasure was the perfect start to a day...it is a beautiful little coffee house that is home to the best Acai bowl on the Island (or anywhere for that matter). The Acai berry is said to be a superfood that has many health benefits and full of antioxidants. To me it's a beautiful purple and it tastes great so if there are any health benefits to me it's a bonus, the Acai berry is blended with ice which makes this have an almost frozen yoghurt or ice cream quality your bowl. 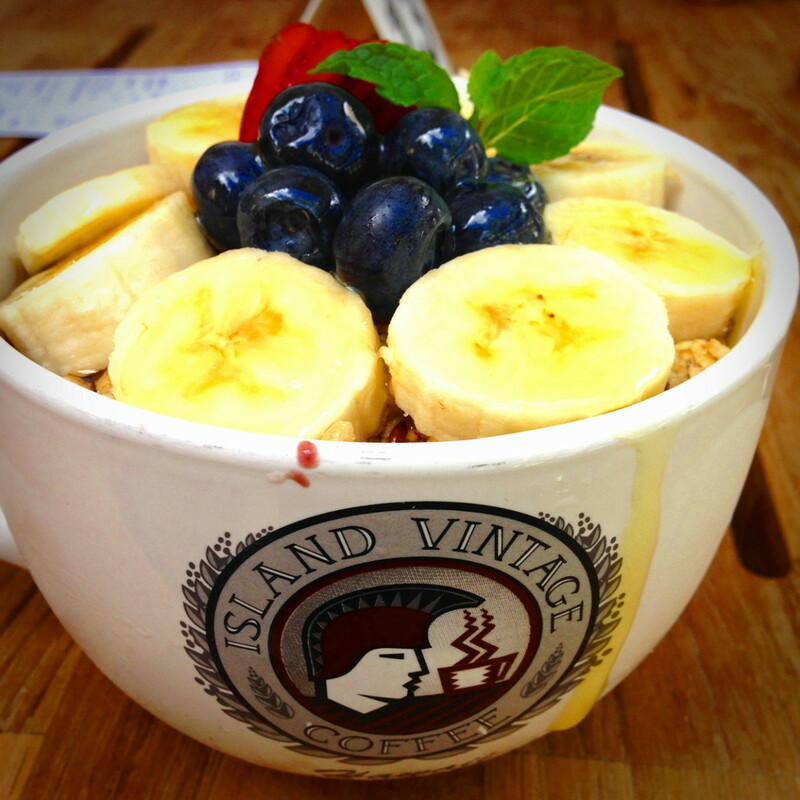 Island Vintage Coffee has a great menu including coffees and beautiful refreshing drinks as well as great breakfast, lunch or snack items that are sure to satisfy including salads, bagels and sandwiches. 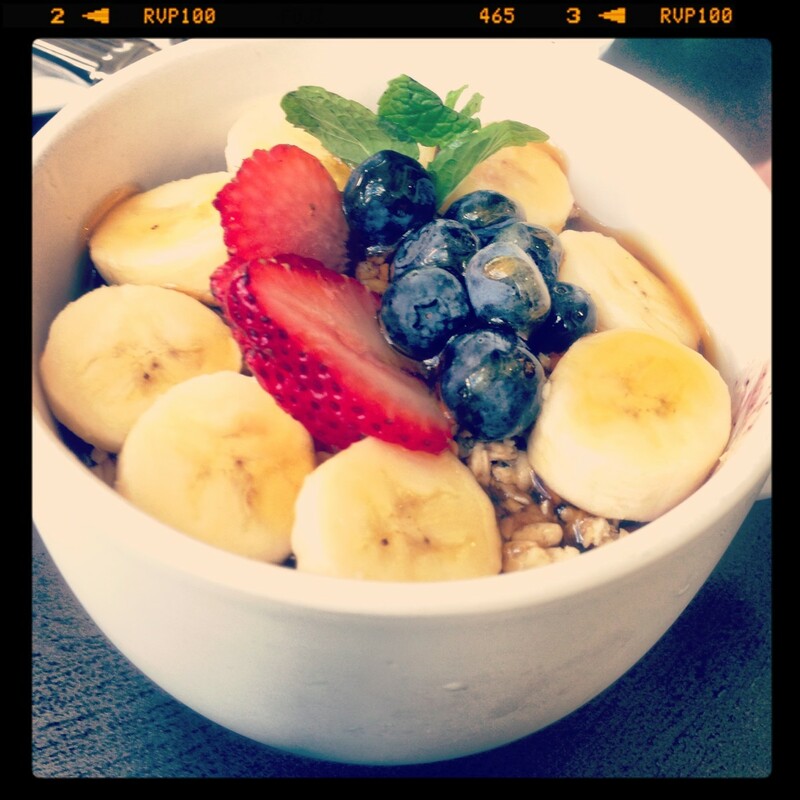 I became addicted to the Acai bowl, the only problem with it was that it was so big that I could barely finish it. It is well priced and really makes you feel like you have had the perfect healthy start to the day whilst being filling. 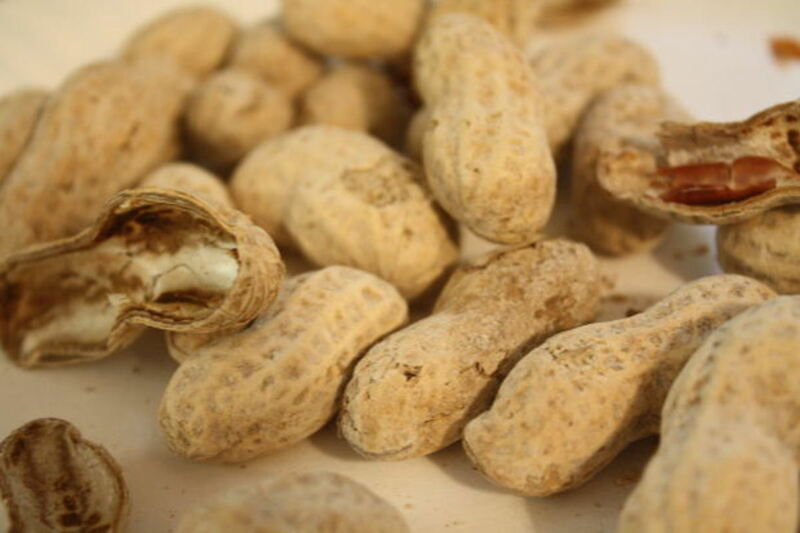 This is something that you must try, its flavor is wonderful and even the most anti-healthy person would enjoy this treat. Seriously you will regret not giving this one a go it's a hit! Alternatively there are many other menu items and with such a cute location you will definitely feel like you have found your little island hideaway (unfortunately so has many others so it can be busy at times). 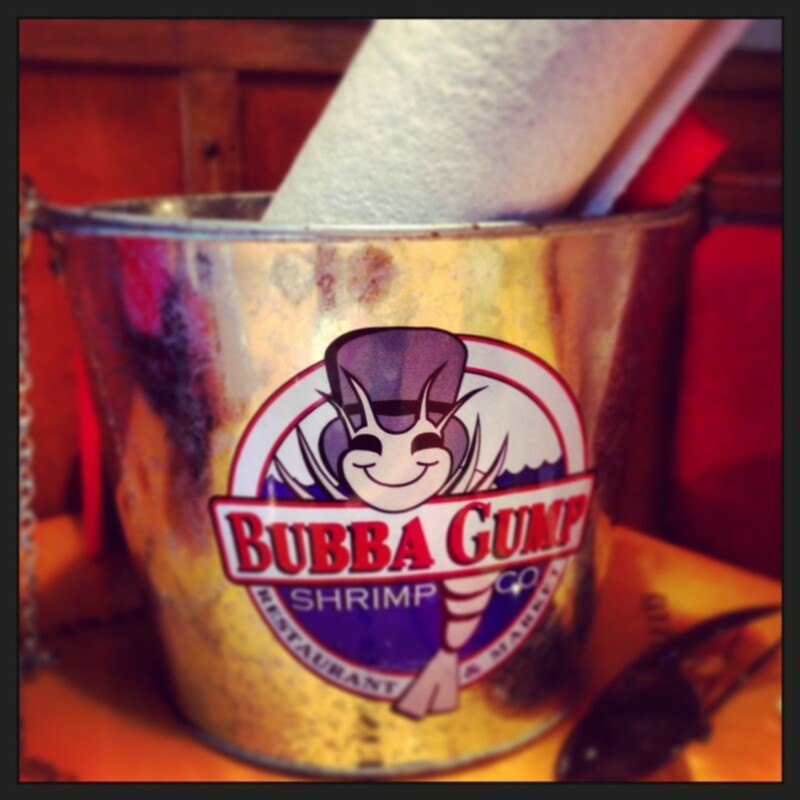 Bucket o'shrimp - Cajun Style - simply delicious! Who knew a food place created after a movie could be so wonderful? It all starts as soon as you walk into the restaurant located on the top floor of the Ala Moana Shopping Centre. The place is Forrest Gump all over, down to the props and hints of the movie...my favorite would be signage they put on your table (Run Forrest Run and Stop Forrest Stop - this corresponds to the service). If you haven't seen the movie made in 1994 (you should) it really is a quirky fun place to eat, plus the photos and the movie playing in the foyer will definitely give you some insight to what's going on. 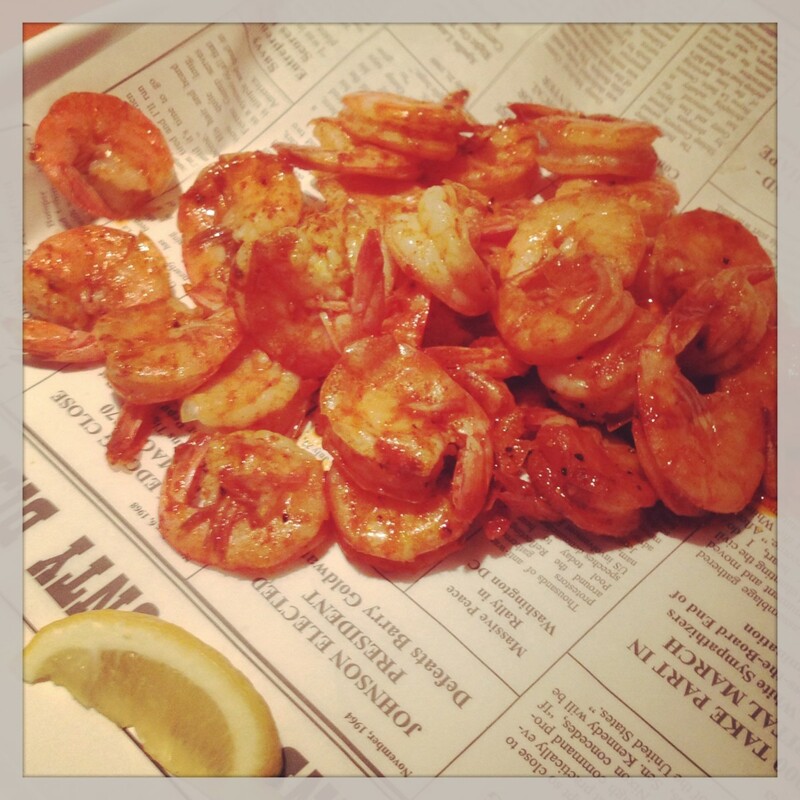 Basically the restaurant is based on Forrest and his friend planning to make a venue that sells shrimp as "Shrimp is the fruit of the sea - you can boil it, broil it, bake it, sauté it…" you know the drill. The food here was great, I had the Shrimp Mac & Cheese along with the Bucket 'O' Shrimp - Cajun Spice (so yummy and great value). 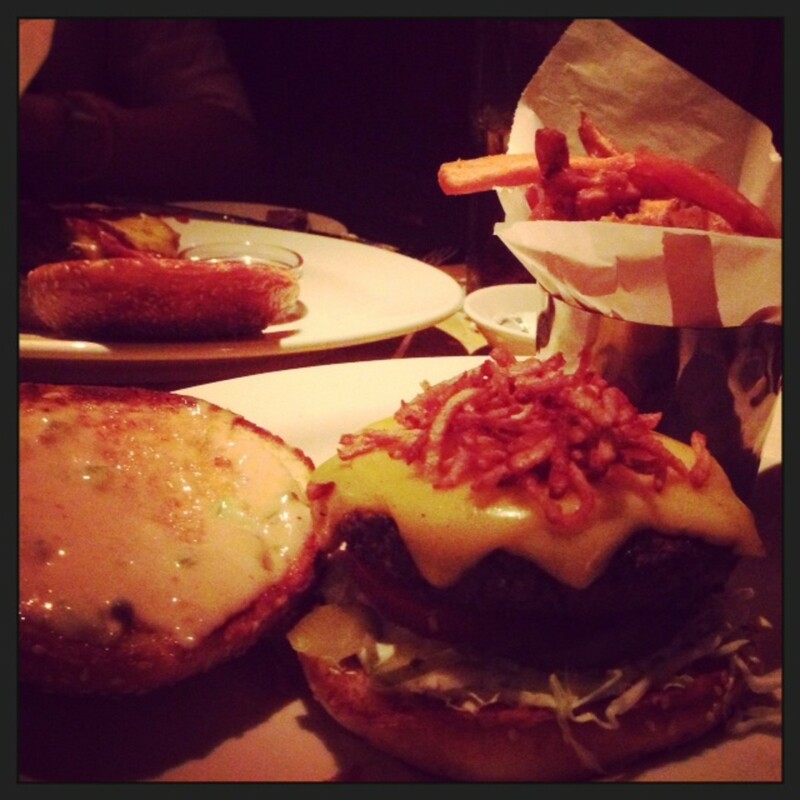 My friend had the All-American Burger and Fries and she stated it was just amazing. I also upon my second return had the Shrimp Po' Boy which was very tasty (didn't photo so well), but if I had my choice again I would've had the Shrimp Shack Mac & Cheese again or something else. Overall I would say this place is a must for the atmosphere and the menu of shrimp (a shrimp lovers dream). If this place was on Waikiki I definitely would have gone more, but as it was in the Ala Moana Shopping Centre we only went once (as shopping addicts, temptation does not do to well). Before you leave remember to have a look in the gift shop. 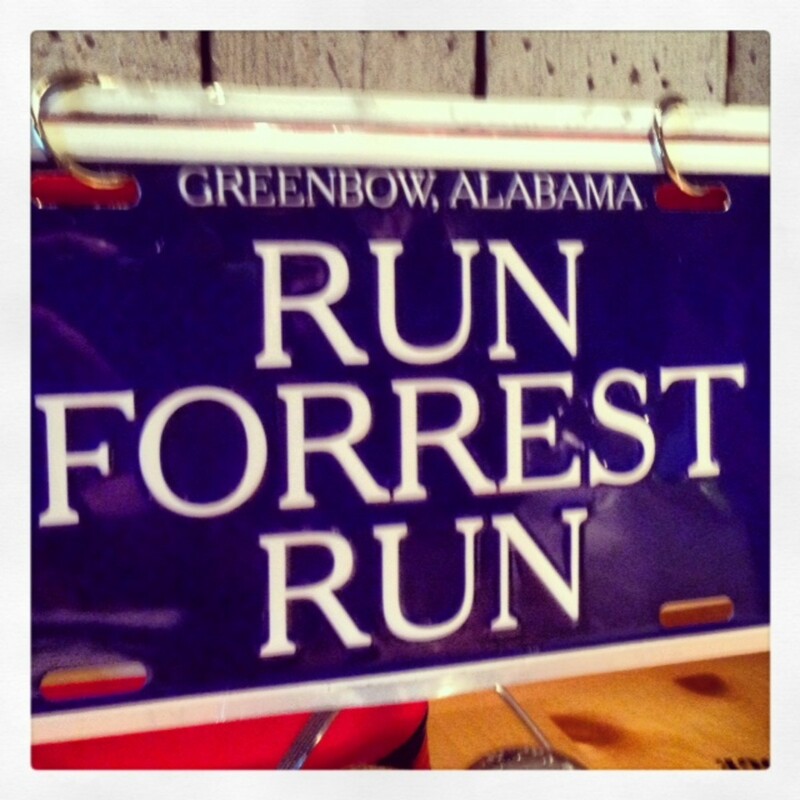 The Bubba Gump Shrimp cookbook is a great addition to anyones cooking collection, plus you can grab some great gifts (or keep yourself) including spice rubs for your shrimp, aprons, tea towels, hats and shirts along with the good old trustee magnets featuring some great classic quotes from the movie. You will not regret adding this place to your list one bit, trust me. Originating form Portugal these fried treats are another must try when in Honolulu. 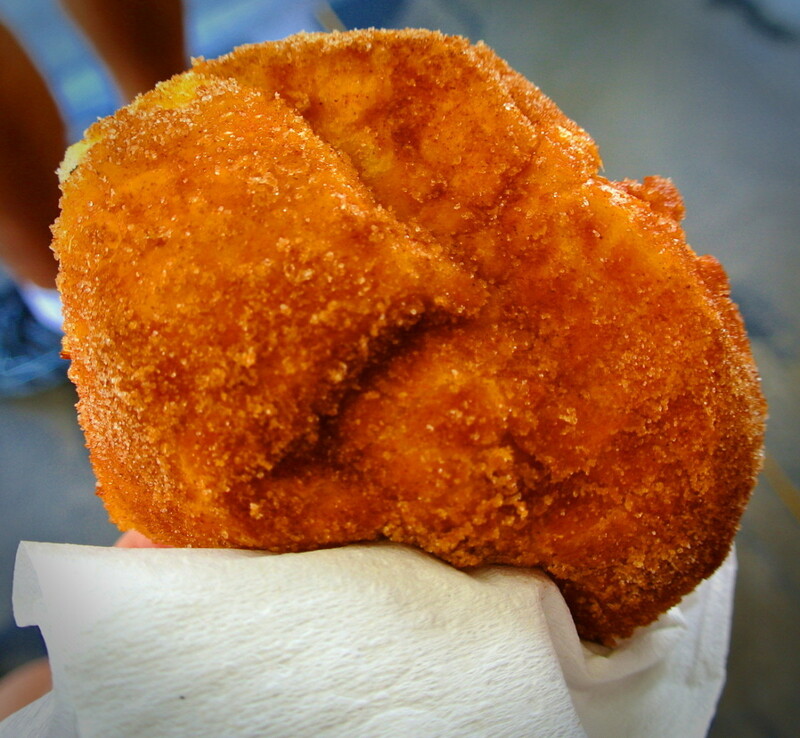 Malasadas are made of balls of yeast dough that are then deep-fried in oil and then tossed in granulated sugar. They range from plain non-filled Malasadas (my favorite) or come with flavored custards and creams. 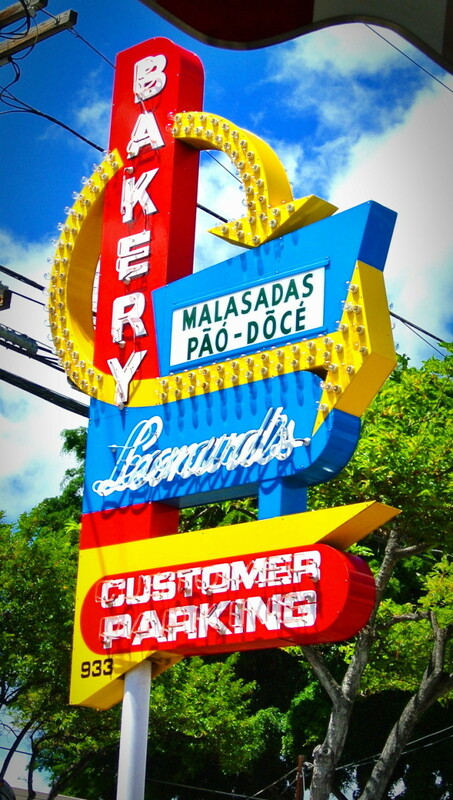 Malasadas came to Hawaii in the way of Leonard's as of 1952. 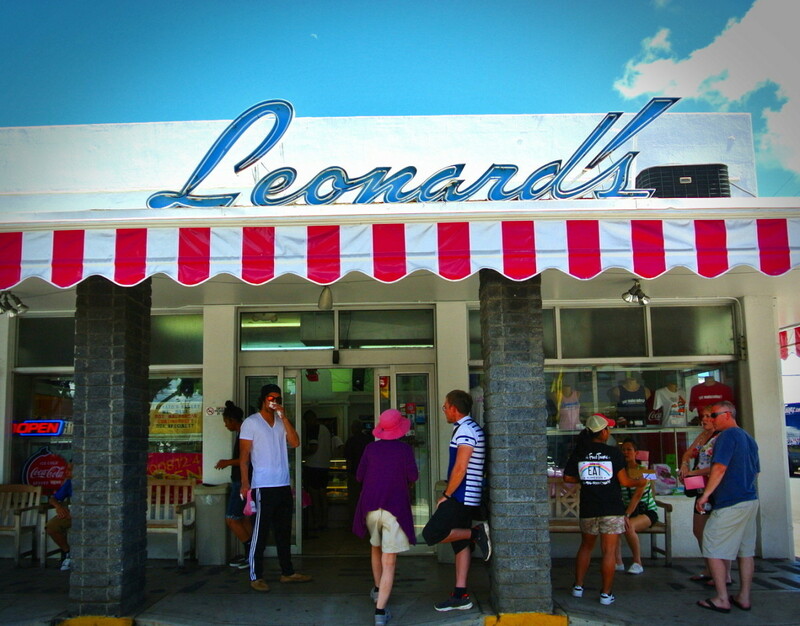 Leonard's bakery has a great retro sign which makes you feel as though you have stepped back into a special time where life was much nicer and filled with delicious baked goods and has become a firm favourite with the locals. 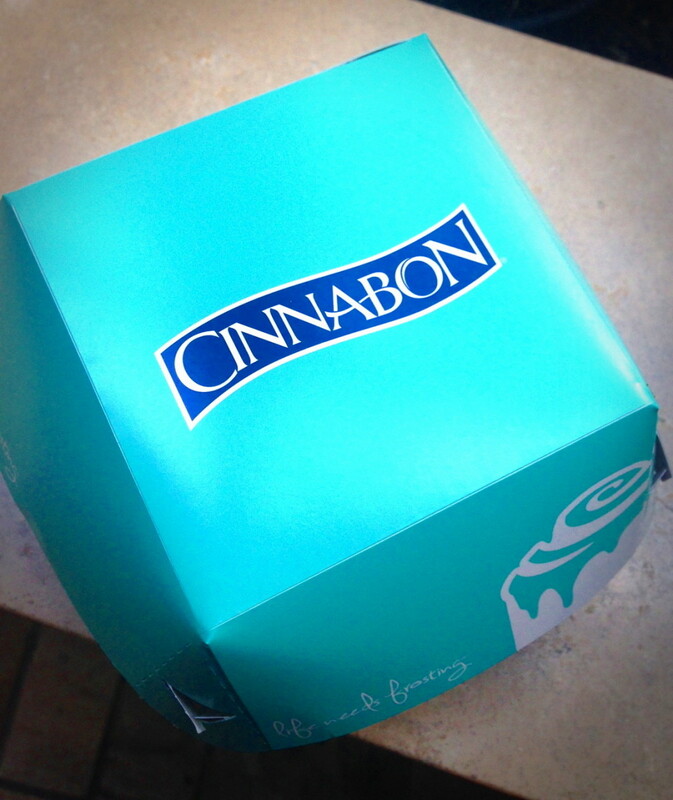 Cinnabon, what a decedent sweet delicious place to go. 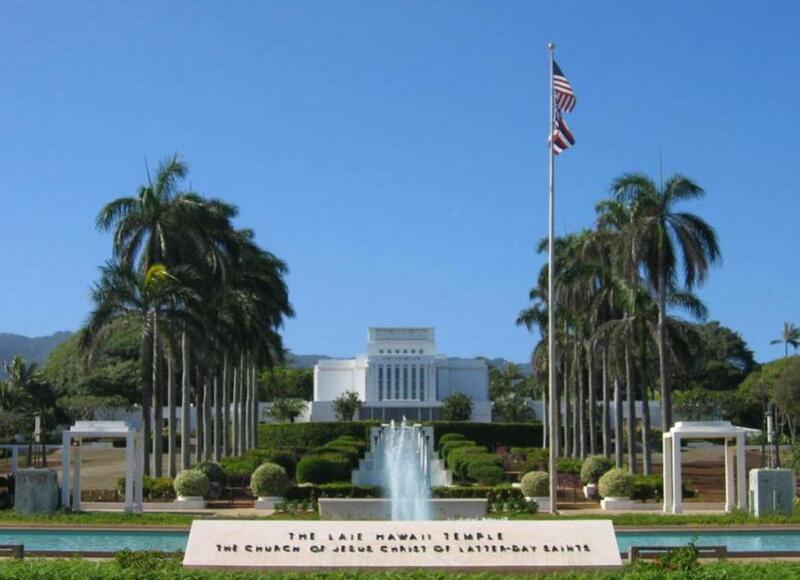 Months before I left for Hawaii this was probably the place I was most excited about. I heard they had a limited edition candle that smells of the shop (this was on my must have list, however unfortunately they did not have any in stock when I was there) - I mean who doesn’t love the smell of cinnamon?. So my trip to this shop was very much one to be savored and going back on my second trip did not disappoint. It is again in the Ala Moana Centre and when you walk in all your senses are shaken alive. 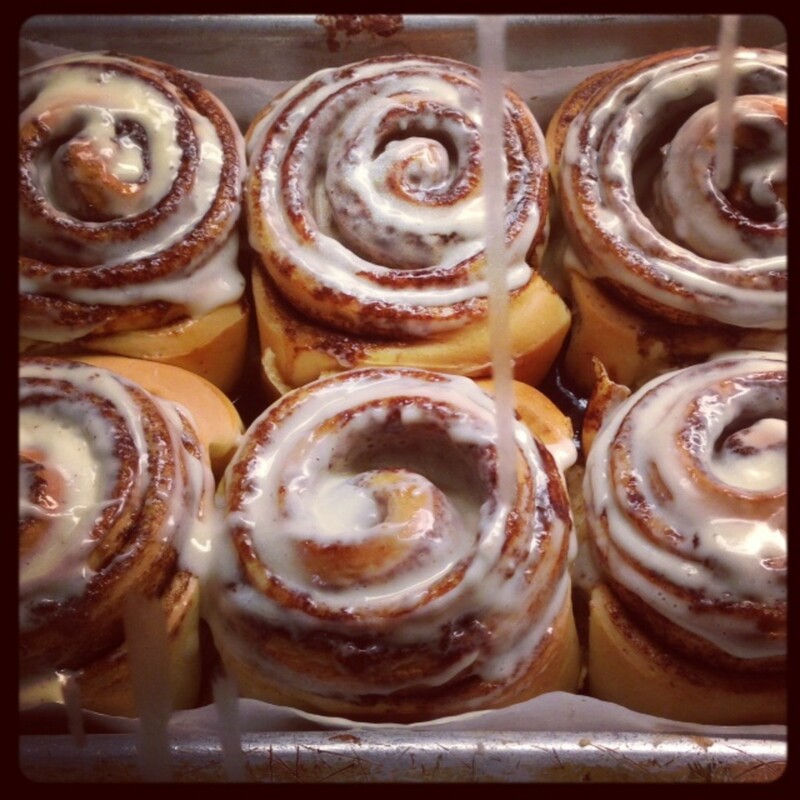 It just smells delicious….the cabinets stocked with all sorts of gorgeous cinnamon flavored treats and after a lot of umming and ahhing I settled on the cinnamon scroll and what a scroll it was. I mean we have these here in Australia sure, but they are nothing like the American ones. 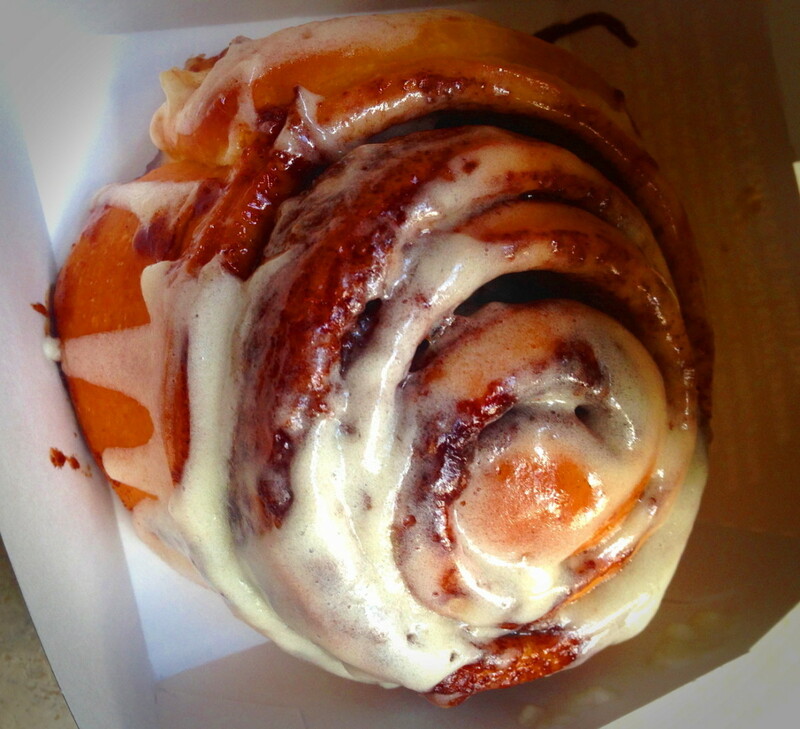 Cinnabon Scrolls are moist, full of flavor and really one of the most amazing things ever, dripping with the delicious icing….I could go on, but really all you need to know is this is a place you need to visit, and/or like me if you no longer have that luxury check out their website they have some delicious recipes for various cinnamon treats. Or if you are lucky to be staying in a hotel or house that has access to a fridge and oven you can also cheat and buy from the freezer department the Cinnabon in a can and make your own. This is available in most grocery stores and available in most states in America. Really no matter how you do it, it has gotta be on your bucket list to try at least once...Enjoy! Shave Ice is a desert that is made by shaving a block of ice and adding flavored syrups to the ice and originally came to Hawaii after the Japanese Plantation Workers immigrated to the Hawaiian Islands and bought their traditional desert with them. Shave Ice is popular in many countries for a sweet treat for children, but in Hawaii is enjoyed often by all the locals. The shave ice I was fortunate enough to try was after doing the Diamond Head Summit Trail. The trail opens 6am to 6pm and takes between 1.5 and 2 hours. 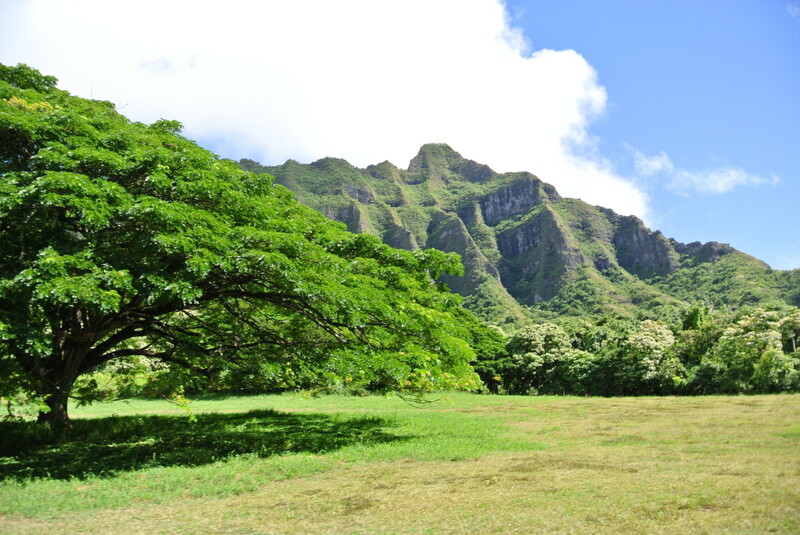 Although strenuous at times and it does feature quite a few stairs, the hike is definitely worth it as the view from the top is stunning and breathtaking and you can view the shoreline from Koko Head to Wai'anae. Diamond Head sits near the eastern end of the Waikiki's coastline and is one of Hawaii's most recognised landmark. The Diamond Head Hike starts from the middle of the crater and the hike takes you to the top for these gorgeous views. Once you have reached the top, the hardest part is over and when you finish the walk it is definitely worth grabbing a shaved ice, not only is it refreshing it will definitely help quench your thirst and get your blood sugar levels up. The shave ice at the base of Diamond head is delicious and is served from a little food truck. There is a variety of flavors to choose from or you can be like me and have them all (go the rainbow). 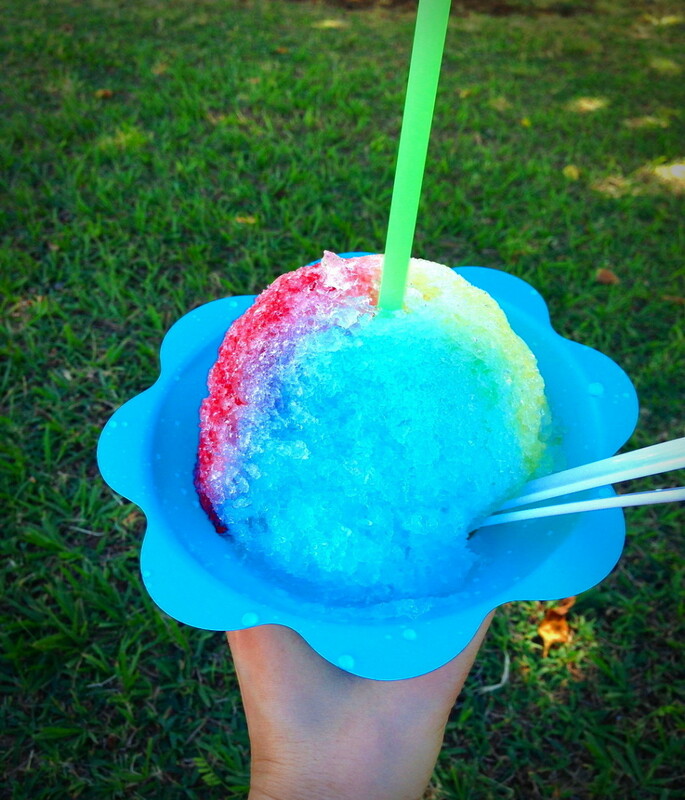 Shave Ice in Hawaii is very common and can be found on the beaches and even in some grocery stores. Obama also made headlines with going to his favorite shave ice place (Island Snow in Kailua) which I will endeavor to try next time I’m on in Hawaii. Needless to say shave ice is a must try, no matter where you try it, but if your planning the Diamond Head hike why not kill two birds with one stone. Located - Base of Diamond Head and various locations across the island. First morning in Hawaii? 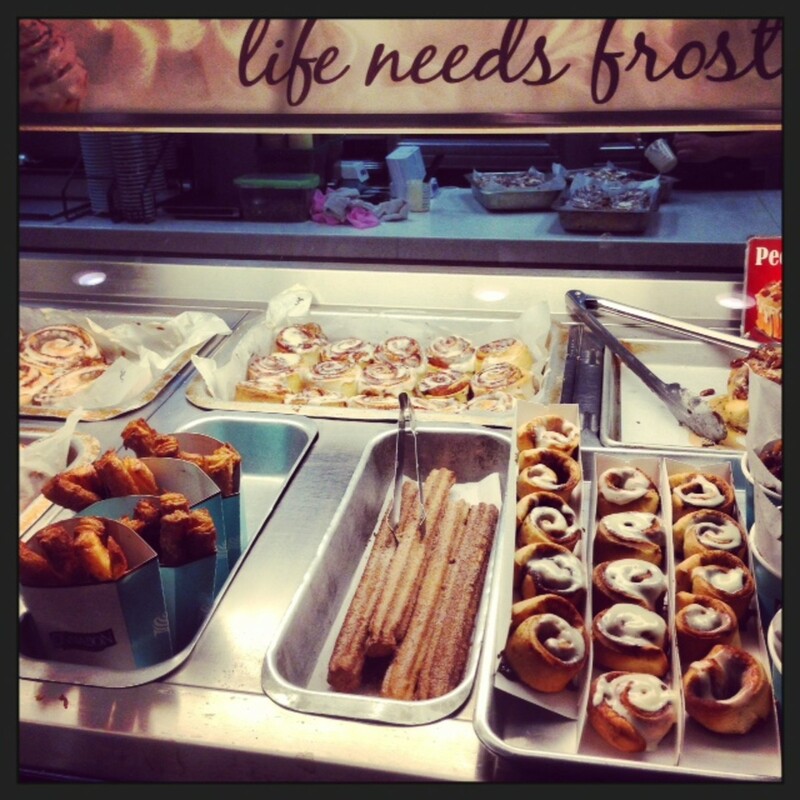 Looking for breakfast? Well look no further Egg'n Things has you covered. 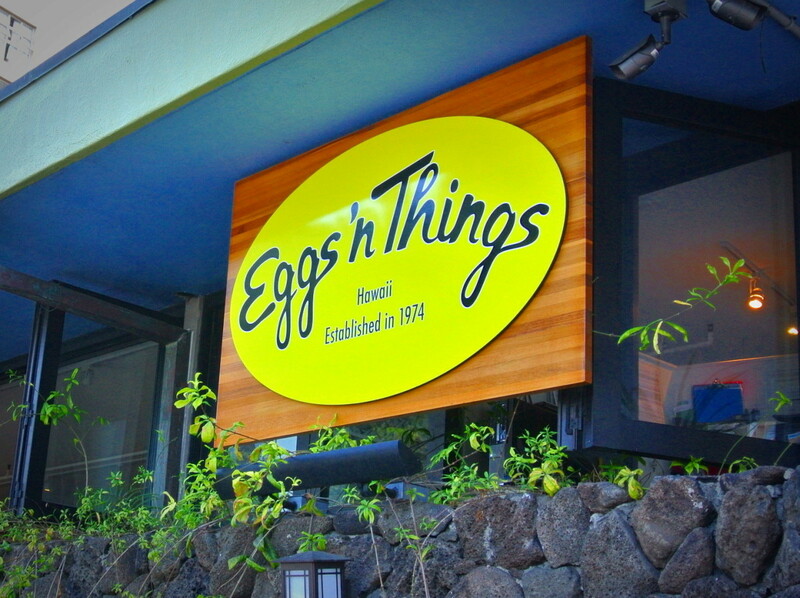 Found in three locations the Eggspress on Waikiki beach is designed with takeaway in mind, however they do offer limited seating also so you can grab your brekkie to eat on the beach or quickly eat there so you can continue with your day. Keep in mind they open at 6am so an early or late breakfast may help avoid the big lines that do appear here daily. 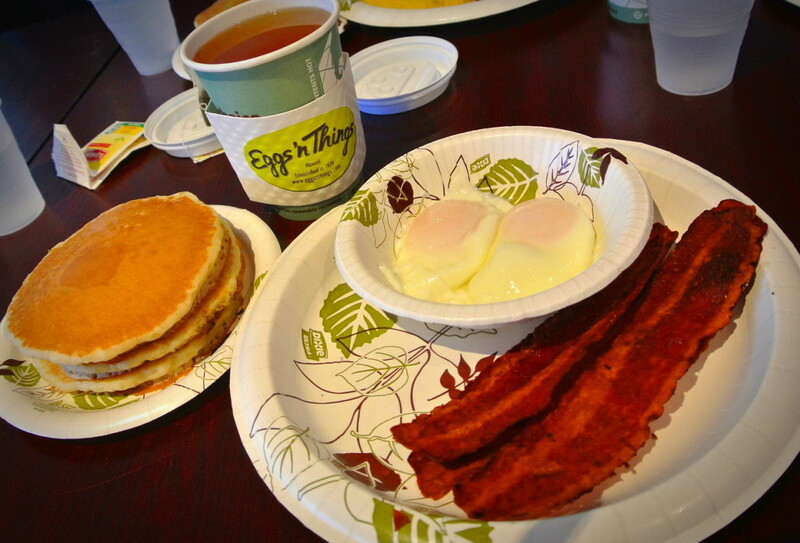 The food here keeps everyones tastes in mind....my favorite was the simple Turkey Bacon and Eggs with 3 buttermilk pancakes, Yum!. The tables are set to include maple syrup, jams as well as hot sauce and tomato sauce so you can have your eggs and pancakes however you like. The options on the menu range from your standard meat and eggs (Bacon, Sausages and of course Spam...your in Hawaii remember!) as well as Omelettes, Pancakes, French Toast, Crepes, Waffles and Fruit. So whether your craving sweet or savory, simple or complex, small or big this place has all your breakfast options covered, definitely worth a visit; or if you don't fancy your breakfast at breakfast times, well they have you covered there also as they are open 6am-2pm and then they re-open 4pm until10pm...breakfast for dinner anyone? 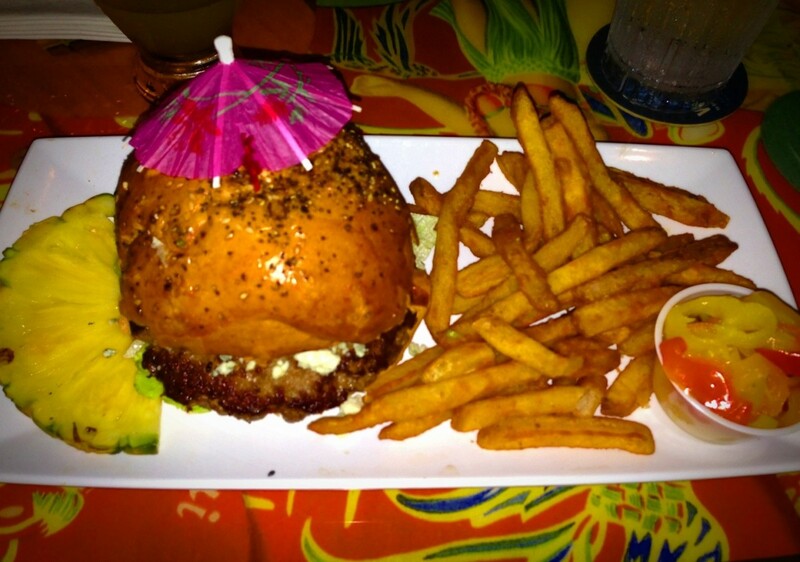 Cheeseburger in Paradise is probably your one stop shop for the best burger in Oahu. I know its a big call, but if I could only have one burger again every time I was in Hawaii, a burger from this place would definitely be my pick. 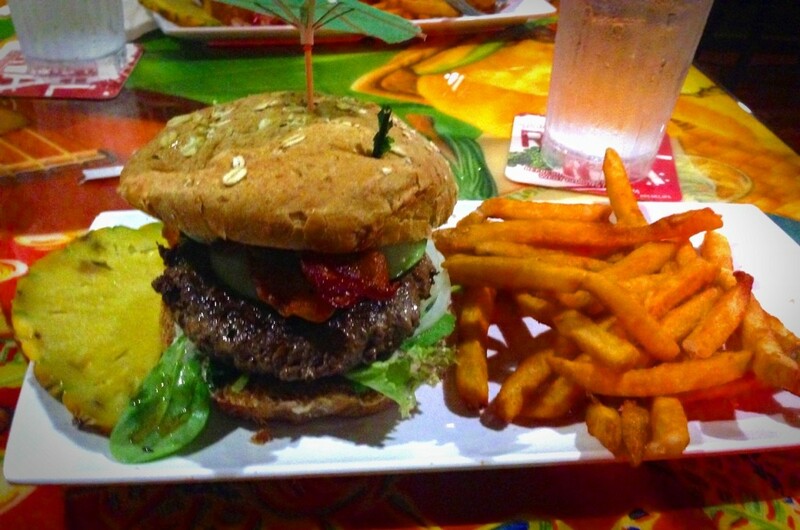 Yes I do know I have raved about the burger at the cheesecake factory and also how good the ones at Bubba Gump Shrimp are, but hands down the flavor at the Cheeseburger in Paradise was heaven, plus the burger was huge with a great side of fries, what could be better?. The restaurant is part restaurant with tables and part sports bar with a wall of tv's playing a few of the top games of the moment at one time....the later it gets the louder it gets, but it adds completely to the atmosphere and is a great and fun venue for the whole family. I had two burgers at this place, admittedly one was better than the other...but still both were delish. The first one was the Blue Banana Cheeseburger which was named as the "universal burger for the universal need". This burger came with blue cheese, banana peppers and homemade guacamole and if you were going to taste one burger this one would definitely be my suggestion as it was amazing...I have since tried to recreate this at home, but nothing can quite compare. Secondly, I had the special of the month which featured Apple, Brie and Bacon....again this one was delicious, but i'm afraid it was no comparison for the Blue Banana Cheeseburger. The menu like most places in America has something to suit everyone and aside from the burgers you can get great tropical cocktails, sandwiches, salads, nachos and chicken wings to name a few. 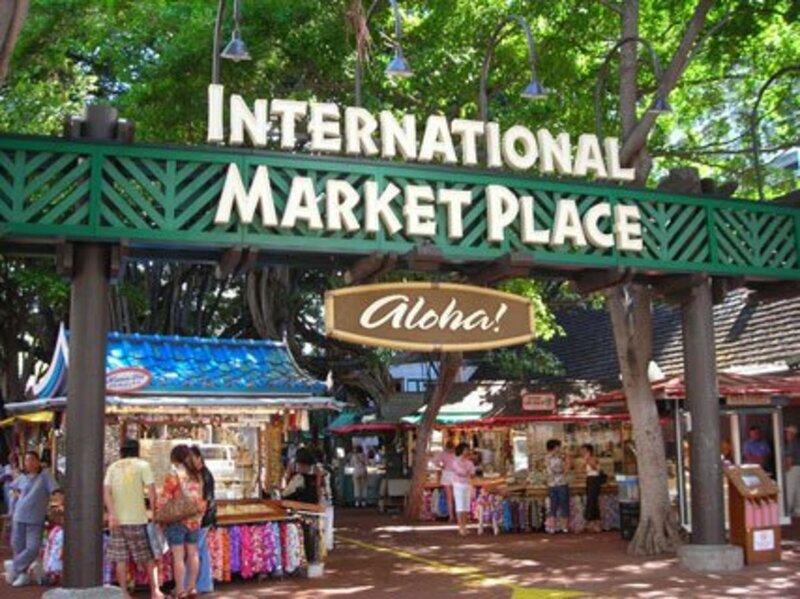 This place is definitely another one to add to your list, its fun, yummy and a place that definitely has the Aloha spirit; did I mention each burger comes with a mini umbrella and a slice of pineapple - what could be more Hawaiian than that...embrace the holiday!. Morimoto is owed by Chef Masaharu Morimoto who is also known to millions as the star of the Iron Chef. Moriomoto was the last stop for my first trip to Hawaii as it was only fitting to go out with a bang. 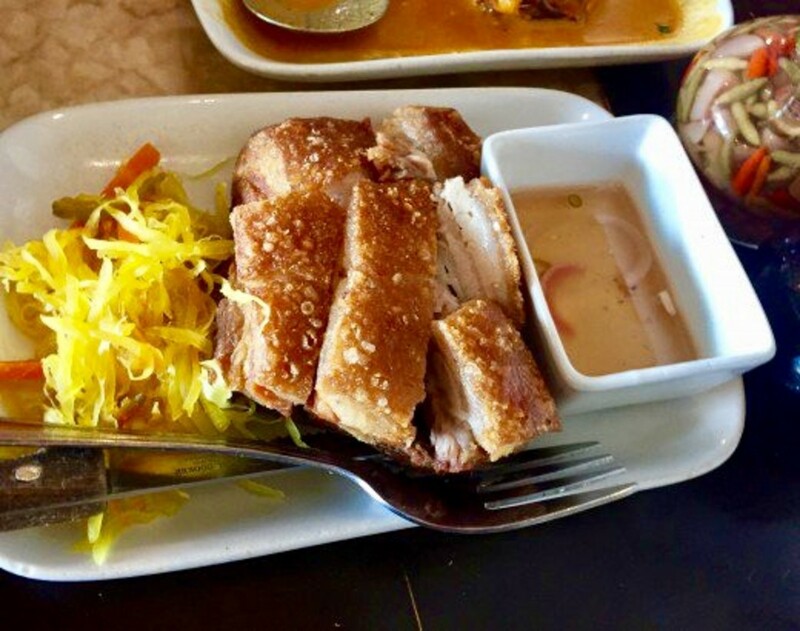 Moriomoto is the perfect balance of seafood and besides its extensive sushi menu you can also get steak, pork, chicken or duck, so again there is enough variety to suit everyone - no one will leave here hungry thats for sure. Morimoto is also situated right on the waterfront on the expansive open-air lanai. The restaurant is beautifully decorated with an open kitchen as well as an open sushi bar. Really you cannot lose if your indoors or if your lucky to have an outdoor table you can really soak up the scenery. The restaurant creates an atmosphere of sophisticated island living and definitely is the perfect place for any occasion. The food here is delicious and my only regret is that I did not get to sample the sushi menu. 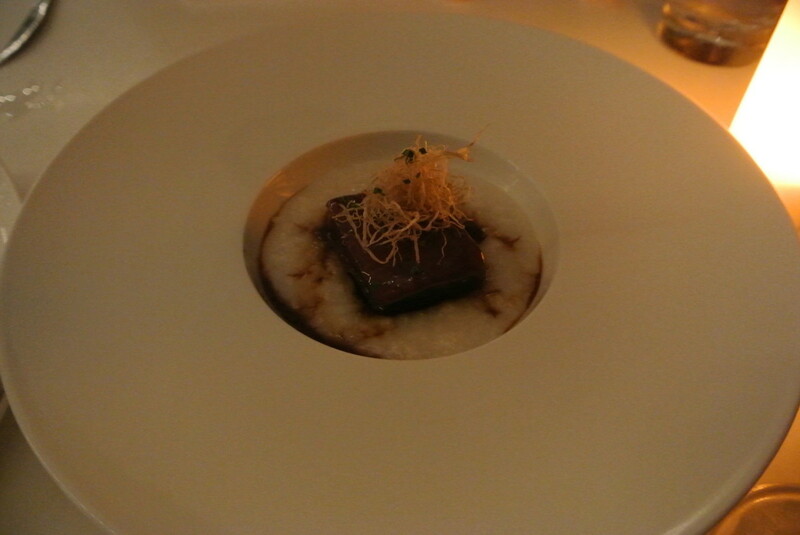 My friend and I decided to share our food (so we could sample more) and started with a duck foie gras and a pork congee which were both rich and beautifully flavored. 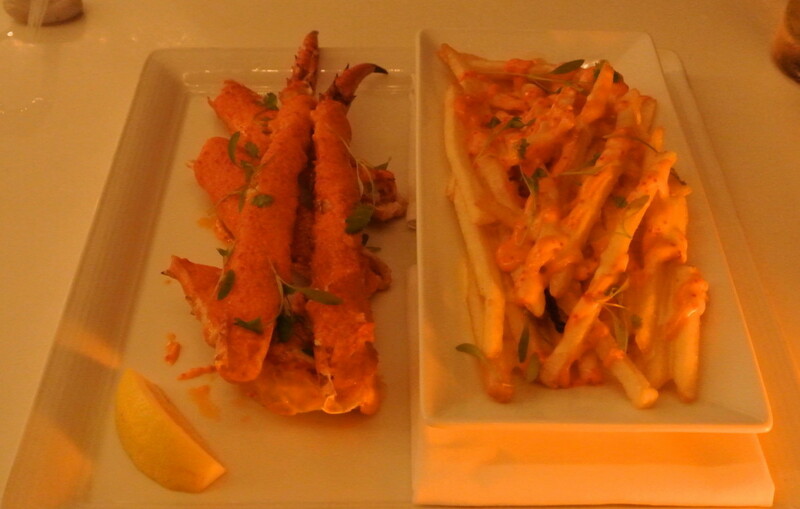 We then followed with the Spicy Alaskan King Crab Claws (when in Hawaii) with a side of fries with a spicy dressing, these were seriously to die for and whilst very spicy they were the perfect balance of flavor and although they are no longer on the menu as I had them, I would definitely recommend ordering something similar. 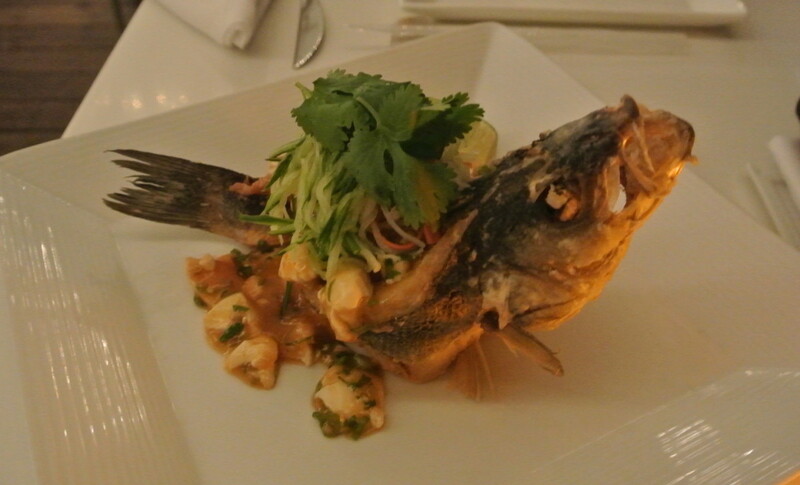 Next we had a Crispy Whole Fish which was absolutely stunning to look at, it was incredible how it still looked like a fish standing on the plate, I have no idea how they do that, but it was clever and really added to the experience. I am not so much into fish, but if every fish I ate tasted like this I think I could definitely become a die-hard fan. 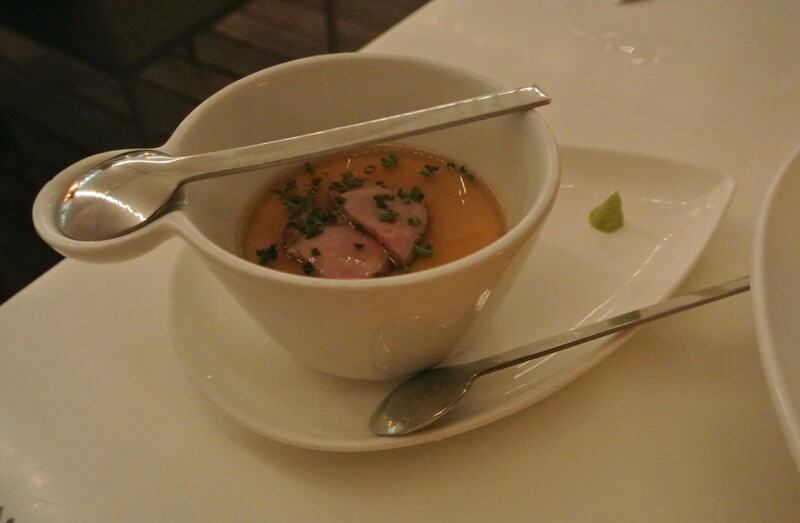 This dish also came with a beautiful pickled papaya salad and also delicious salt crusted fingerling potatoes. The food was 10/10 and amazing as well as being reasonably priced for the freshness and great flavors this place provides. Definitely do not skip this place, its fantastic and who doesn’t want to eat at the Iron Chef's restaurant? Oh by the way make sure you make a reservation as this place can be difficult to get into at times. Which American destination would you most like to holiday?